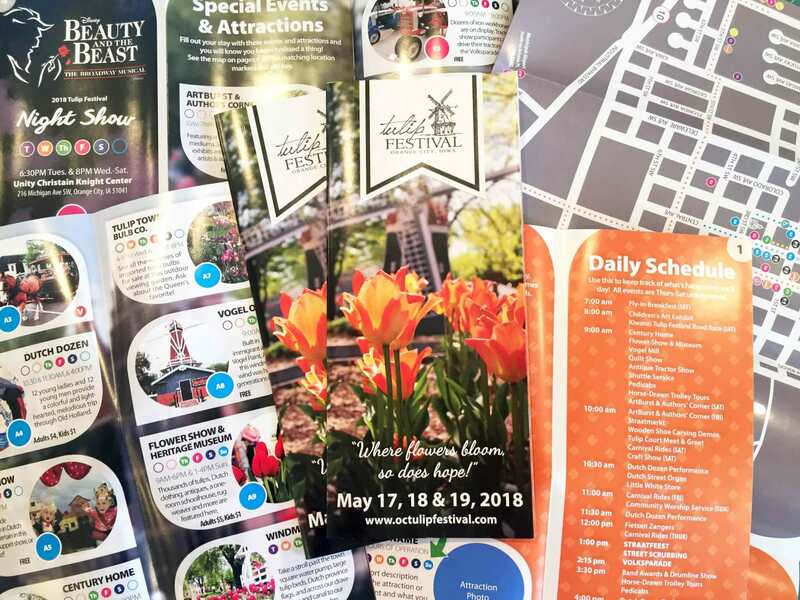 The brochure includes a daily schedule of the Tulip Festival, information on festival activities, attractions and special events such as Straatfeest and the Night Show. 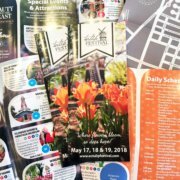 Also included is information on food, travel and lodging at and around the Tulip Festival. 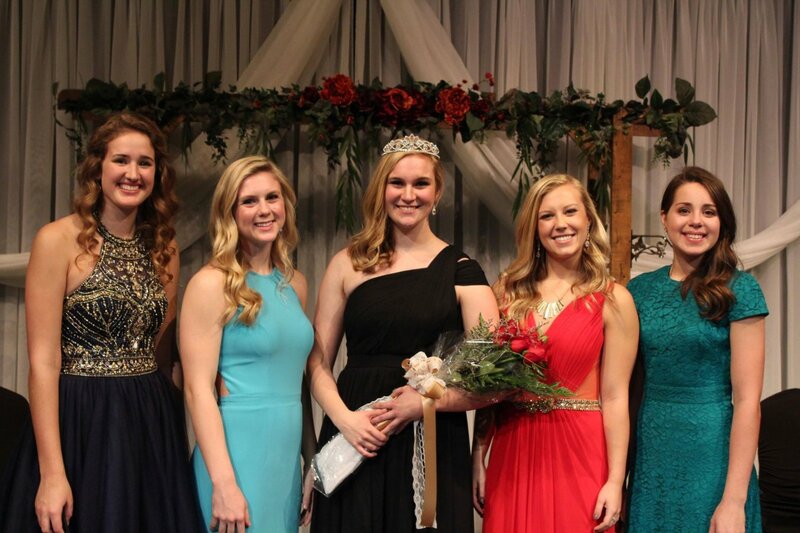 Juliana Tien was crowned the 2018 Tulip Festival Queen on Monday, Nov. 13. Juliana will reign over the 78th annual Tulip Festival, set for May 17, 18 and 19, 2018. A senior at Unity Christian High School in Orange City, Juliana is the daughter of Gale and Cathie Tien. Juliana is joined on the 2018 Tulip Court by court members Alexa Arends, daughter of Troy and Darla Arends; Josie Maasdam, daughter of Kirk and Becky Maasdam; Haley Smit, daughter of Jason and Kara Smit; Corinne Wiese, daughter of Robert and Tricia Wiese. Juliana and her court members spent Monday afternoon interviewing with judges Cassie Baker, Catherine Bloom and Jeff Wagner. A pageant was held for the public in the evening. Each of the candidates answered questions on various topics and gave an individual presentation. Juliana was crowned queen as a conclusion to the evening. 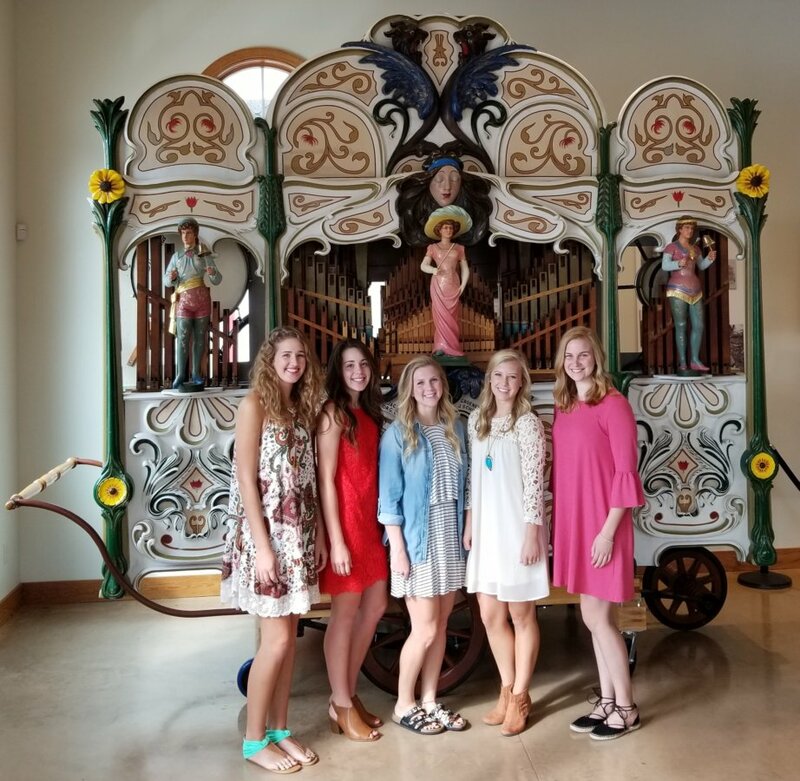 Juliana and her court will serve as ambassadors for the Orange City Tulip Festival as they travel in the spring, making several media and public appearances. The Tulip Festival Steering Committee has an exciting announcement regarding the annual Night Show musical production, Disney’s Beauty and the Beast. 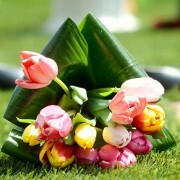 In addition to the May 16-19 line up of shows, there will be an additional show on Tuesday, May 15. 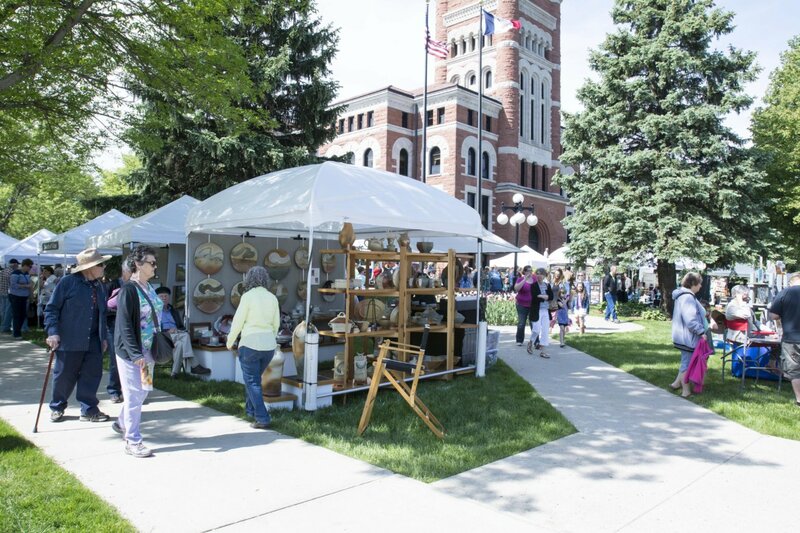 The show will begin at a special time, 6:30 p.m., creating a family-friendly time frame for all to enjoy. Kids are encouraged to wear costumes and can get their picture taken with the cast after the show. Tickets will go on sale January 29 and available at the Orange City chamber office for the purchase price of $20 each. Tryouts for the show start on January 9, from 7-9pm, January 11, from 7-9pm and January 13, 9am-12pm. Location of the tryout will be the Unity Christian Knight Center. Orange City’s 2018 Tulip Court was elected on Wednesday, Sept. 20, 2017. 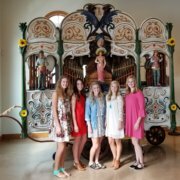 Tulip Court members for the 78th annual Tulip Festival include: Alexa Arends, daughter of Troy and Darla Arends; Josie Maasdam, daughter of Kirk and Becky Maasdam; Haley Smit, daughter of Jason and Kara Smit; Juliana Tien, daughter of Gale and Cathie Tien; Corinne Wiese, daughter of Robert and Tricia Wiese. 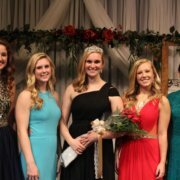 A Queen’s Tea and Pageant will be held on November 13 to crown the 2018 Tulip Queen.  The Queen and Court will serve as ambassadors for Orange City’s 78th annual Tulip Festival, set for May 17-19, 2018. 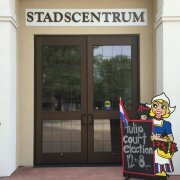 Voting for the 2018 Tulip Court will take place from 12 to 8 p.m. at Stadscentrum, located on the corner of Central Avenue and Second Street North in Orange City. 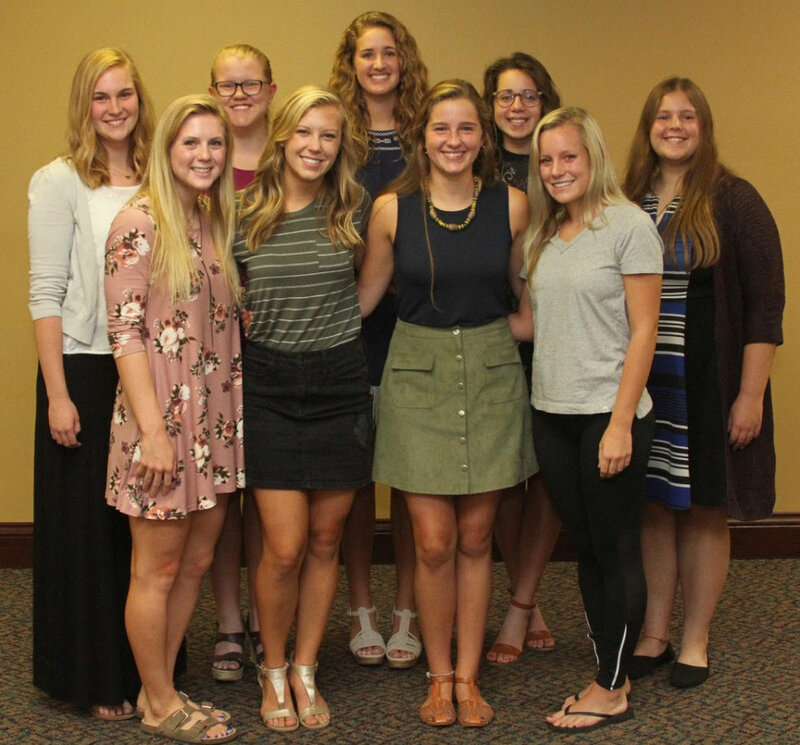 Candidates for the 2018 Court are: Alexa Arends, daughter of Troy and Darla Arends; Megan Brower, daughter of Derek and Joan Brower; Jade De Kok, daughter of Scott and Becki De Kok; Kaitlyn Hulstein, daughter of Duane and Judy Hulstein, Josie Maasdam, daughter of Kirk and Becky Maasdam; Haley Smit, daughter of Jason and Kara Smit; Juliana Tien, daughter of Gale and Cathie Tien; Kyra Vande Brake, daughter of Steven and Mary Vande Brake; Corinne Wiese, daughter of Robert and Tricia Wiese. 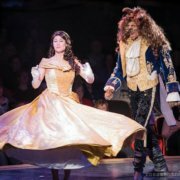 The Tulip Festival Steering Committee has announced the annual Night Show musical production for May 15-19, 2018, as Disney’s Beauty and the Beast. “Be Our Guest!” The Academy Award-winning film comes to life in this romantic and beloved take on the classic fairytale. Epic scenery, custom built enchanted sets, and professional costumes will make this show one for all ages, and the largest production ever before performed on the Tulip Festival stage. Guests of this production will step into an enchanted world of this “tale as old as time.” The story tells of a young woman, named Belle, living in a provincial town, yet dreams of more. And Beast, who is actually a young prince trapped under a spell of enchantments. The cast will be filled with memorable characters; a talkative know it all clock, a kindhearted candelabra, a young precocious tea cup and his lovable mother tea pot, just to name a few. If the Beast can learn to love, and be loved in return, the curse will end and he and all in the castle will return to their normal selves, but time is running out. Directing Disney’s Beauty and the Beast will be Todd Vande Griend. This is the 19th production Vande Griend has been a part of. “I am excited to take on the challenge of this enormous production, and bringing the enchantment and excitement of Disney’s Beauty and the Beast to Tulip Festival stage in 2018,” Vande Griend said. Vande Griend is joined in the leadership of the 2018 Night Show by Sarah Weber, Producer, Becky Donahue, Choreographer. The cast of Disney’s Beauty and the Beast will consist of approximately 35-40 people ages 16 and older. Auditions will be held in January 2018. 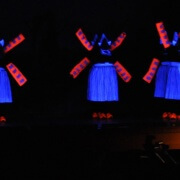 Join us for this live production, May 15-19 at the Unity Knight Center, in Orange City, IA. 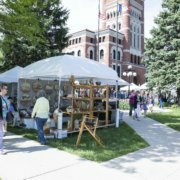 We are adding a Tuesday Show that will begin at 6:30 p.m. Other showtimes will begin promptly at 8 p.m.
Tickets for the Night Show will go on sale for $20 each on Monday, January 29, 2018, at the Orange City Tulip Festival/Chamber of Commerce office.